1. Before login to the router for setup, make sure your Smartphone is already CONNECTED to the router's SSID successfully, if not, you MAY NOT be able to open the login website. 2. If you are using a CABLE Service, you must REBOOT the CABLE MODEM after finished router setup, otherwise the router CANNOT obtain IP address from the cable modem and you MAY NOT have internet connection. 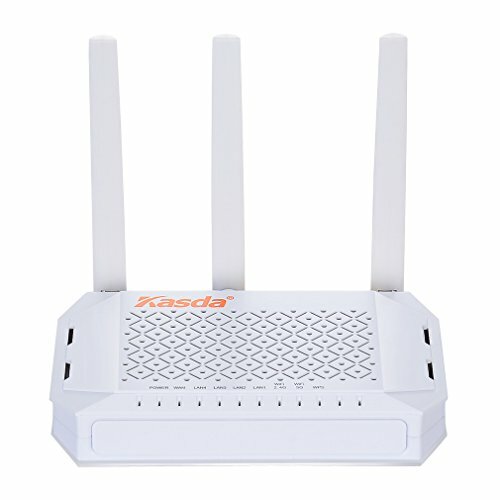 STEP 1: Use your Smartphone to search the Router's SSID "Kasda XXXX KW651X" and connect to it. STEP 2: Open a browser on your Smartphone and login to the setup page. STEP 3: Follow the Quick Setup guide to finish all the settings. STEP 4: Reboot both your modem and Kasda router. If you have any questions about this product by Kasda, contact us by completing and submitting the form below. If you are looking for a specif part number, please include it with your message.